Located in the Midi-Pyrénées in southern France, the region of Languedoc offers some of the most prestigious luxury camping sites in Europe. Combined with a varied climate, a rich history and truly unforgettable countrysides, many choose to take advantage of the holiday camping sites here which offer bungalow tents, mobile homes and luxury tents. 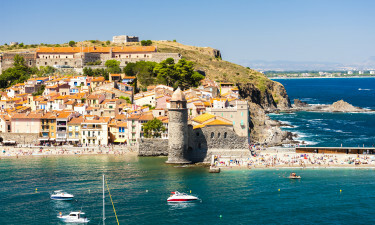 Boasting a history which can be traced back to Roman times and earlier, the Languedoc region of France provides visitors with a host of locations and luxury camping destinations to enjoy. For example, the southern coast is a popular summer seaside getaway while inland locales offer excellent skiing conditions in the winter. Cities such as Toulouse, Carcassonne and Narbonne are still home to countless ancient castles. In particular, the months of spring will display some truly stunning views of snow-capped mountains punctuated by verdant green valleys. Why Should I Camp in Languedoc? 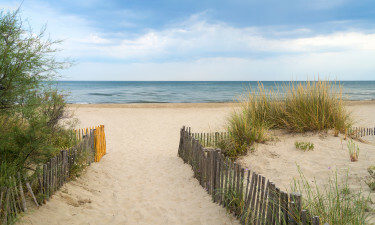 There are a number of large and sandy beaches to be found alongside luxury camping locations. Some include Le Grand Travers, Espiguette and Argeles. From rolling hills to vast pine forests, the natural beauty of this region can never be overlooked. 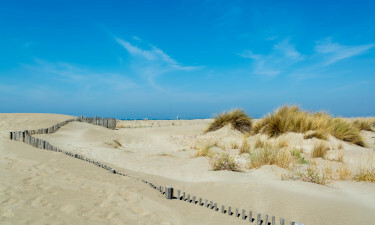 These are two of the reasons why so many visitors choose camping holidays in Languedoc. Notwithstanding the larger cities of Montpellier, Narbonne, Nimes and Toulouse, other sites should not be missed. 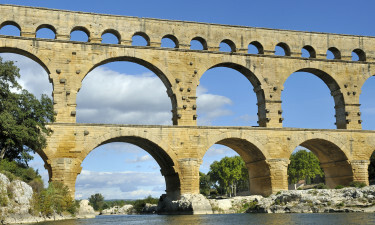 These include a handful of ancient Cathar castles, the massive Roman bridge known as Pont du Gard, the Cevennes mountain range and the Fontfroide Abbey. Languedoc is particularly known for its cuisine. Fresh vegetables, local meats and cheeses abound. Oysters are a favourite here; many caught locally along the aforementioned beaches. Naturally, the wine to be enjoyed is also outstanding. The climate here will vary depending upon the region. Mountainous inner portions can experience colder temperatures and snow during the winter. However, the summers here are quite inviting. Many luxury camping sites which offer bungalow tents, mobile homes and luxury tents will remain open throughout the year.